The combined application of mineral and chemical filters reduces the chemical impact on the skin. IR-A (Infra-red A) rays can penetrate into deeper skin layers. Ultrasun sun protection products for sensitive skin contain the unique Infra-red A protection complex against sun-related skin ageing. The light gel formulation is absorbed very quickly due to its lamellar structure. 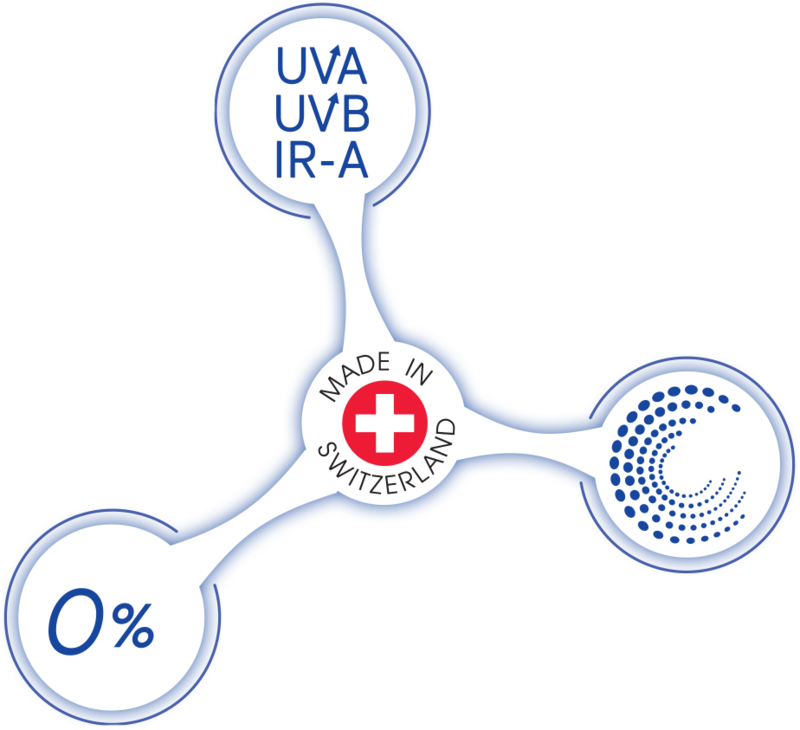 At the same time, Ultrasun protection products create a perfect link with the epidermis. Because the combination of perfume ingredients and UV rays can lead to unwanted pigmentation disorders/stain formation. Makes the skin permeable, allowing pollutants to enter the skin. Because mineral oils together with emulsifying agents and UVA rays can lead to sun allergies in the form of Mallorca acne. Because emulsifying agents together with mineral oils and UVA rays can lead to sun allergies in the form of Mallorca acne. Ultrasun uses absolutely no preservatives (no parabens, no phenoxyethanol, no methylisothiazolinone). This is due to its very stable formulation and the top quality airless packaging. Because the long-term use of silicone in cosmetics is controversial. The use of aluminium in cosmetics has been debated.